Last Friday, I flew to Thailand again! My 3rd (or fourth perhaps, I suddenly remembered a pic of me and my mom when I was 3/4) to this Negara Gajah Putih. I planned this trip in mid 2018, when I wanted to shape my body again with a mission! Hahahahah. I decided to cross another long pending bucket list back to Triathlon Race in an Ironman 70.3 Format! 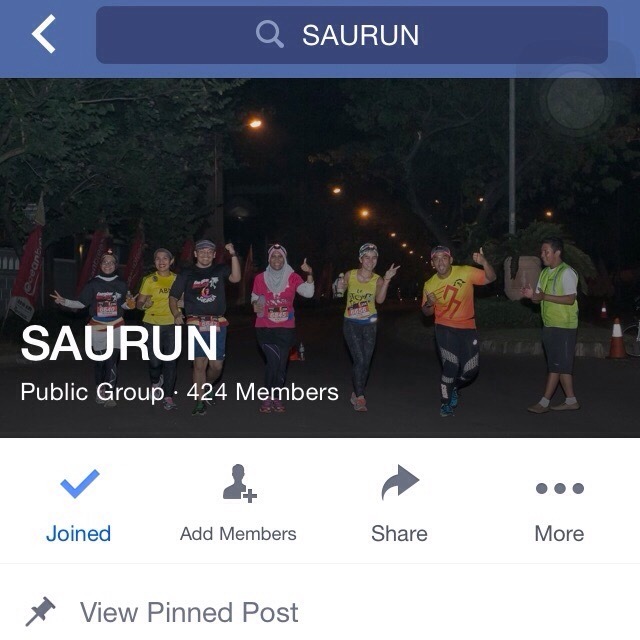 of courseee….with beloved friends from Bintaro Trojan Runners, who elssseeee? Arrived at the airport, lapor bea cukai karena bawa sepeda, supaya ngga masalah pas pulang, then off we go…. We arrived at Shuvarnabhumi Airport around noon, it’s my first time entering this country via this airport. A bit chaostic but no blowing horn took place (riwereh banget, tapi ngga resek klakson klakson) . Pak Bagus already arranged pick up serviced with a rented van that cost Baht 2000 one way. PS : if i wrote down expenses, my purpose is to give the readers how much will it cost! Not brangging how much money I have and spent! Bangsaen trip took approx 1hr from the airport. We stayed at the new Wheeler Bed an Bike Hotel. A bike theme hotel. It even has a bike holder in each room. Shortly after we arrived at the hotel, we went to the venue with a shuttle services, Race Package pick up. I always wanted to pose like this!! Like those triathelte whose account I followed on Instagram. After we had breakfast, Vitri, Iwe, Sunu, Alvin and I tested the bike route, we can also figure out wehter our bike works well or not. Back to hotel, changed our clothes since we wanted to do swimming test. I never did open water training for this race, and Bang Saen’s wave is soooo….scary! The water was very choppy, it was hard for me to move! I checked my Garmin. I swam for almost 1K with a very slow pace. The current was so strong! I was dumbfounded, seems there’s no way I could swim 1900m (may be more) in 1 hour 10 min! I texted my sister, bisa selesai renang gw dah bahagia deh! Serem bener lautnya. We had lunch near by and I think Thailand food is the most delicious food in the world after, of course, Indonesian Food! This city is quite. Macam Anyer kali ya, the city where Bangkok people came for weekend. I wonder what people of Bang Saen do for Living. At 2 pm, I ride back to venue area alone. Others took nap.This is my first individual Half Ironman Race ( it was a relay when I did Bintan) also I took my bike to transition area and collected my timing chip. Thai people have limited English, yet they eager to help. I took pose with the volunteer. I also did Transition Touring, so I can figure out where the swim/ bike/ run in and out. I highly suggest you guys do it, especially this is your virgin IM race. ” Assalamualaikum” when I hopped into her car. She also has limitted English. Back to hotel, finalizing our stuff again. For this race, I took 2 gels taped on my bike (Thank you Ashar for the tips), left one in bike pouch, two fit bars to eat after swim and bike, electrolit water in a bidon, plain water in another bidon.I kept myself hidrated since D-2 (which was a bit late) both plain water and electrolit. there I was again, signed up Run For River UI 2017. My virgin half marathon was in this race as well. this time, I opted for 10K trail. Yes, UI has its man-made forest and I’ve run there! in short, I made Acha to sign up for this category. this anak mall garis keras agreed. So, there I was, september 10th 2017, going back in start line again! ich bin zurück!! And owh, besides 10K trail, there were Half Marathon, 10K road and 5K. 10K trail with brown bib, HM with red, 10K road with yellow. none of Trojan Runners participate in 5K. first 2Km was road, had no clue where it was. It was a U-turn Approaching Km 2, a runner in front of me made a short cut! Ada aja yang nge-cut rute, curang. he didn’t know that first check point was at the U-turn! shame on him! entering Km 2 was the forest area. well, ja, I’ve run here before, yet the route a bit different. We run besides a lake this time! 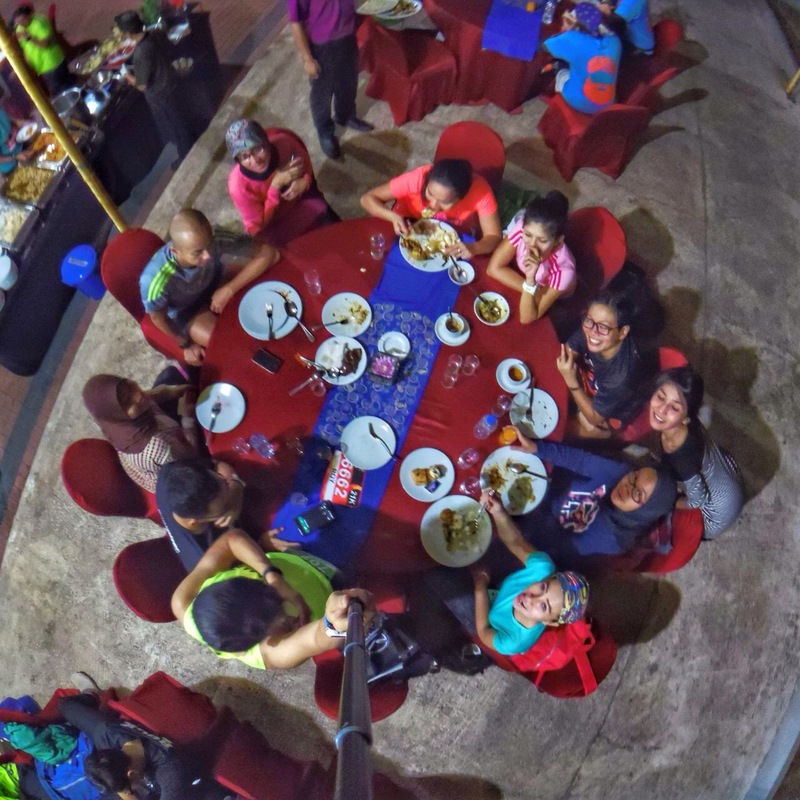 I also run with Maktin and Aby, the later is a runner I met during Tour de Ambarukmo! We paused a LOT to take pictures. Even we asked marshals to do so! hahahahahah!! Lucky, I brought my water blade. 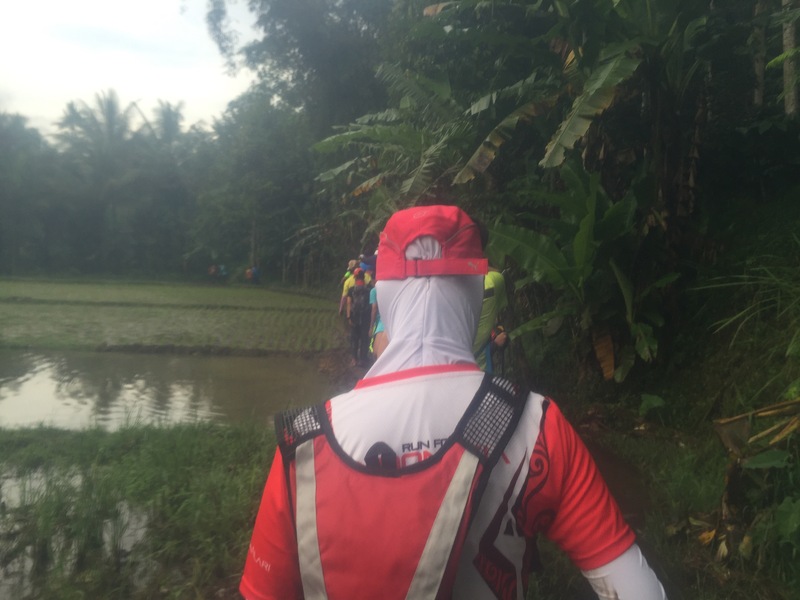 i was very thirsty after Km 3 , and still couldn’t find water station. not until Km 5 or six. Where the lake is! Whoaaa! i love the sun ray shinning thru the leaves. it was beautiful! I filled up my water blader. Then continued to run. My right foot still hurt. damn plantar! 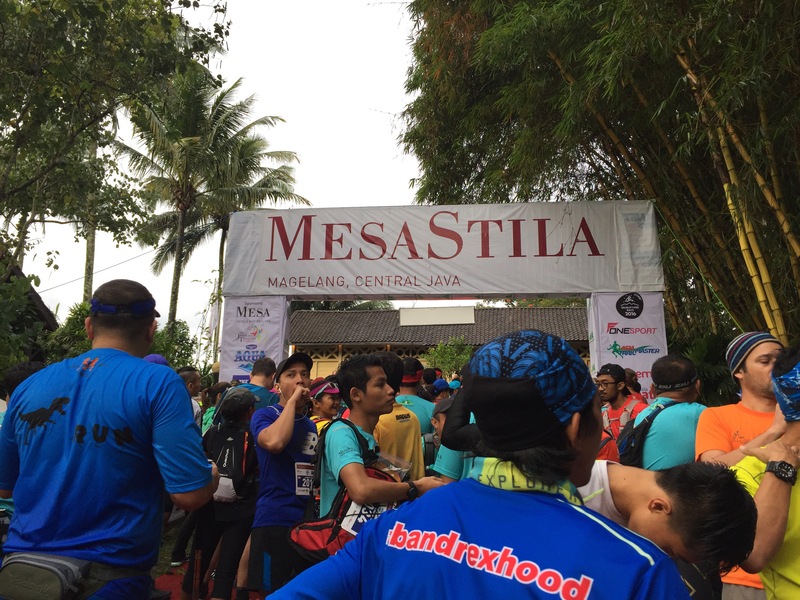 on the way to Km 7, near the famous Universitas Indonesia marka, there was a water station. i was tired…took a break! And doing silly things! total trail is only 7.5 Km I guess, so 1 KM before finish line, we went back to campus area. Running in road again. 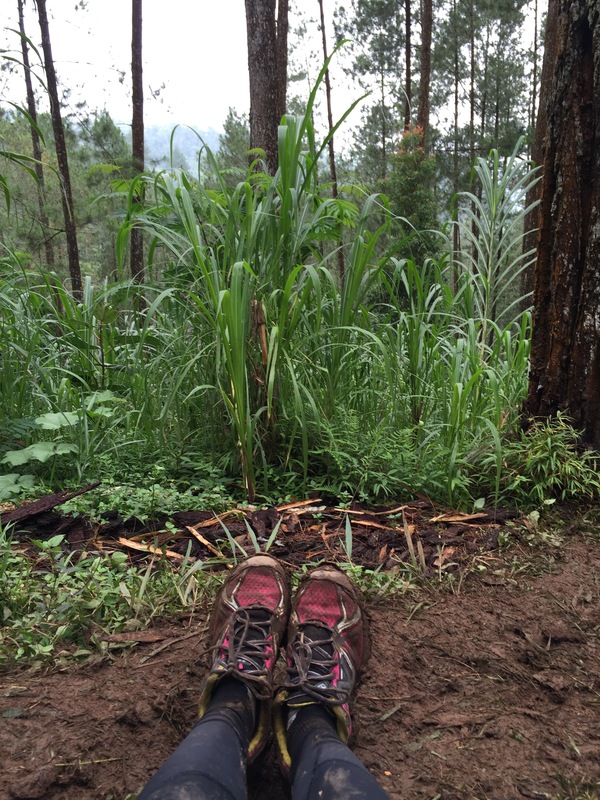 owh, I use road shoes this time as I left my trail shoes in Ambarawa! I’m a sloooowwww runner, it didn’t surprise me, I met many half marathon runners on the way to finish line! Hahahahahahaahhah. they went 21K and I did 10! so there! die dritte medal der Jahre! I haven’t check the result. it took almost 2 hours for me to complete the course. but I was very happy with this race! So much fun! Will be back again next year! 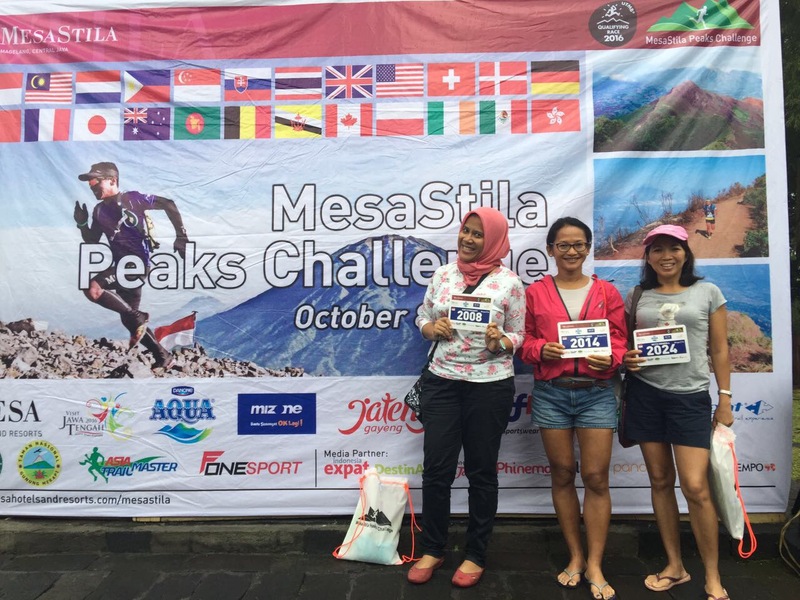 As I wrote here, I was in Magelang for Messastila Peak Challange, taking the 21K category. After I picked up the race pack, there was a race briefing. The organizer said they created new route, which will be challenging! That very moment, I knew, this would be another DNF race. To make story short. Race for FM, HM and 11K was held on October 9th. While the 100Km and 65 Km has started the night before. 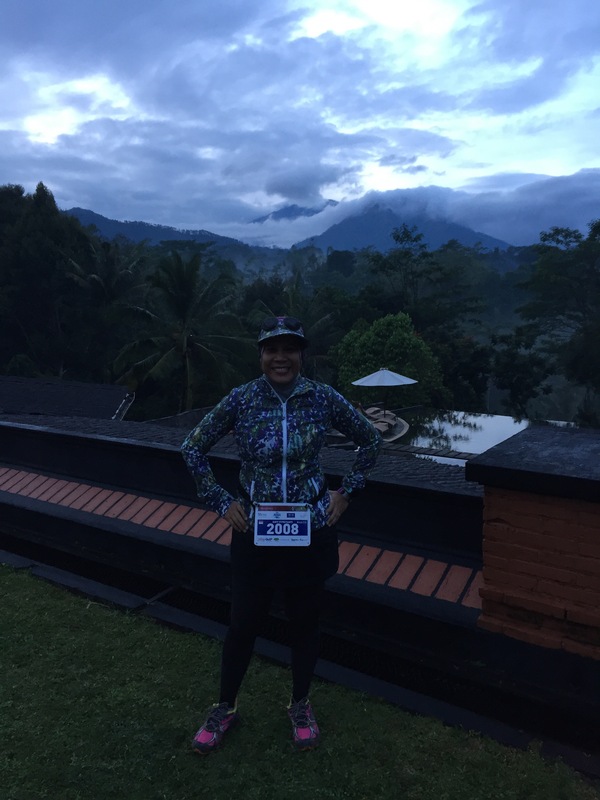 There was an accident happened to one of 100K participant, mbar Eni. She was showered by Chemical Liquid. I knew this horrible news from the group when Pak Hasbi called three of us. Not sure what was the motives. But seems every body mind their own business, no explanation from the RO as well before the race. I ate enough breakfast, toast, banana and coffee. The race started at 6 am. starting pen! yes, it was nanjak! First 1.5 km still in hotel area, then we met paddy field. since it was raining from yesterday, a muddy slippery track was expected. That very moment I cursed I didn’t prepare walking stick with me! I should buy one for my next trail race! Between Km 2 – Km 5 was village area. I was greeted my local villagers. 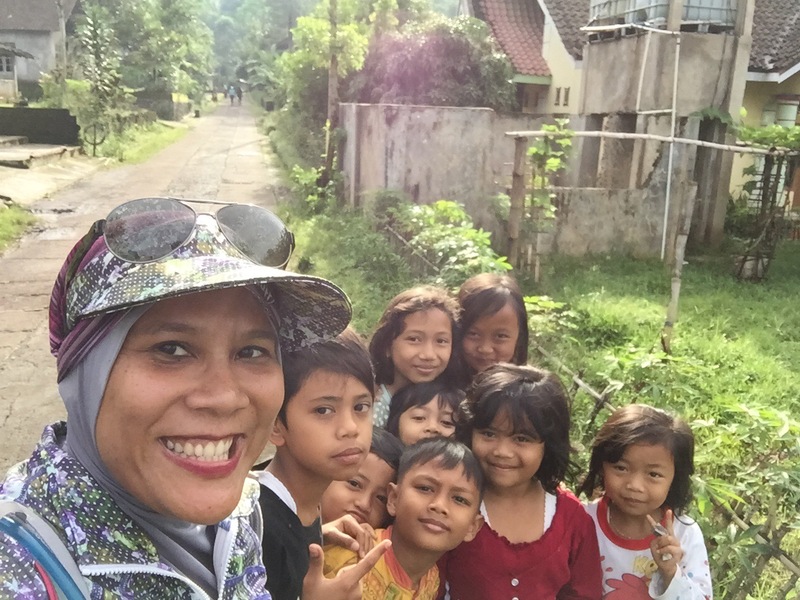 I took selfie with local villagers kids ! I love doing this! 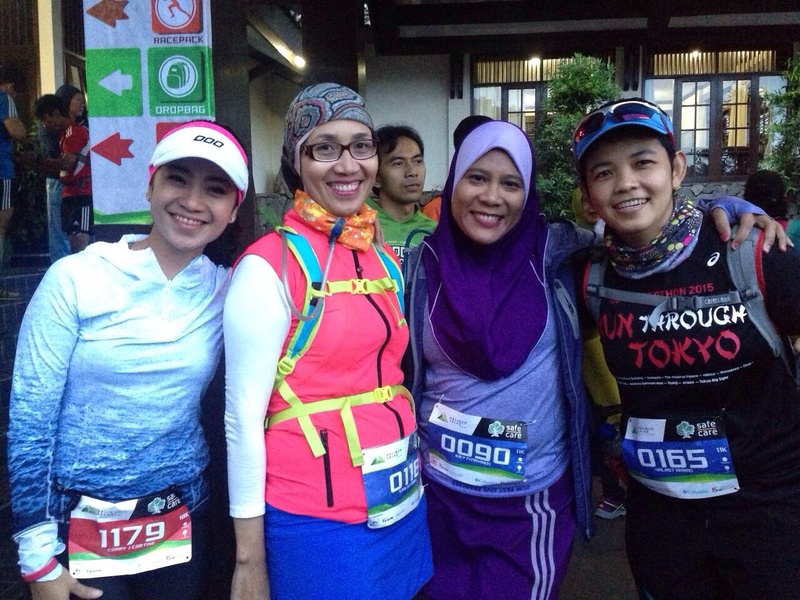 For me, they are the most sincere people in the race course 😉 in Bali during my FM, or in Tosari on my 10K Bromar, etc. 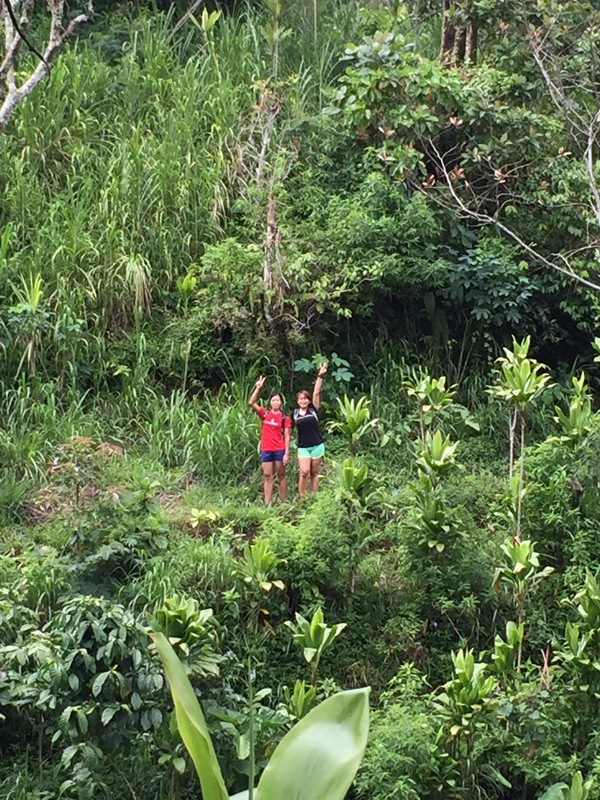 I think it was in Km 5/6 or something, the route was in Coffee plantation. 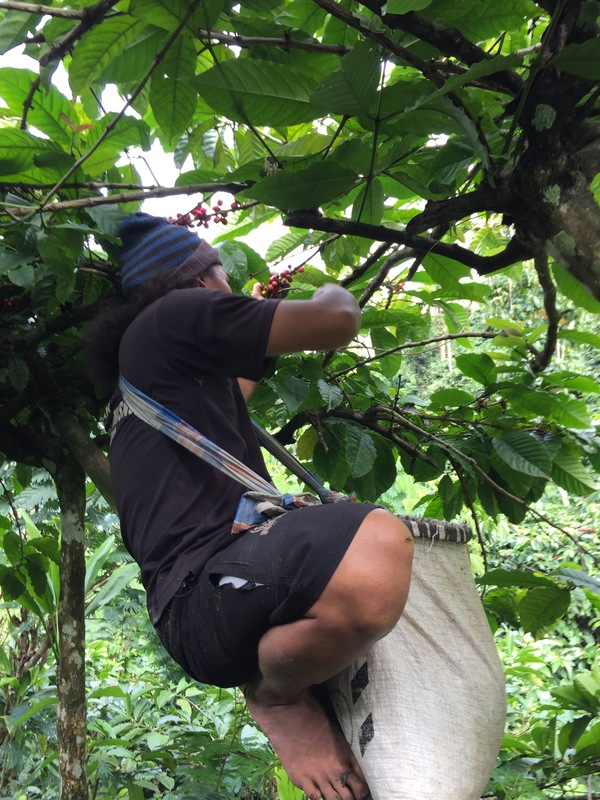 I stopped by to take pics of Coffee bean picker! Finally I met few women. Aulia, Novi and Dwi. we walked few km together. I was with the girls, so yeah…we helped each other. They pull me. anyway, the markers were oke. I easily found the marker either papers, red ribbon or flag. The brutal hilly track paused a bit in Km 8. I am sorry, that was I did on that track. sliding my body down the hill. To save my energy as it was hard for me to stand up and keep my body balance. We were so craving for next Water station in Km 10. 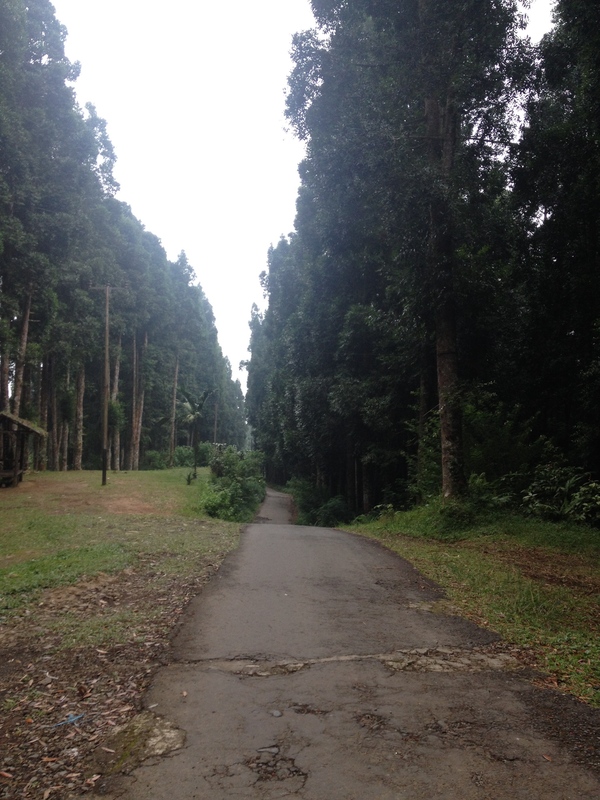 And this was the easiest and prettiest track on the way to Km 10. Where the second water station is. The pine woods! Yes the pathway is man-made, we saw some workers, old men, who were working for the pathway. First we thought it was Water Station as they offered us banana and bread! I decided to refuse their offer, they need their food, I can eat later. I lost Dwi and her friend in Pine Woods, they were faster. So only Me and Novi left. it was still uphill track up to Km 14. I met a marshal and told me, the view would be more beautiful if the sun shines. Yes, it was cloudy when I was there and fog all over. after Km 12, I lost Novi. So i was completely alone, do the talking with the nature. Taking trail run, is really a me time for me. When I think, God answered my questions. 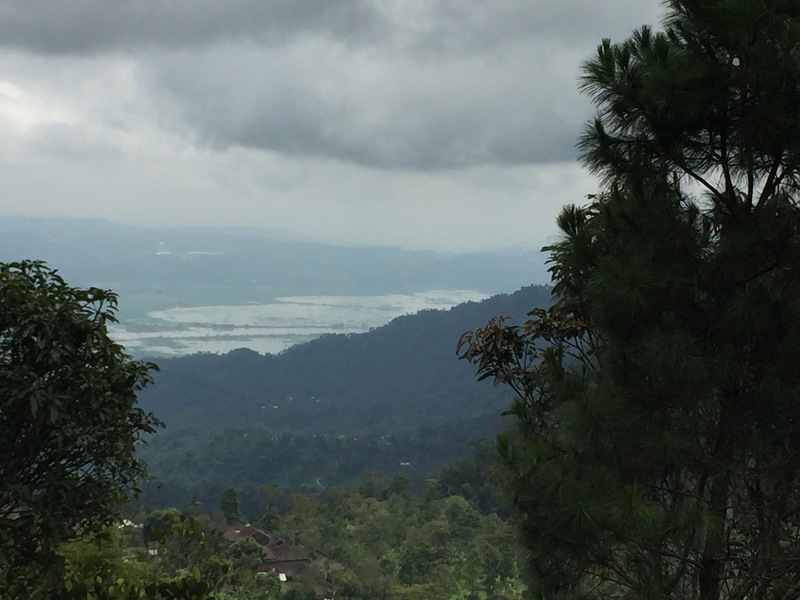 Shortly after Rawa Pening over looked, rain poured very hard. To sum it up, downhill track afterward and DAMN it was hard!!! 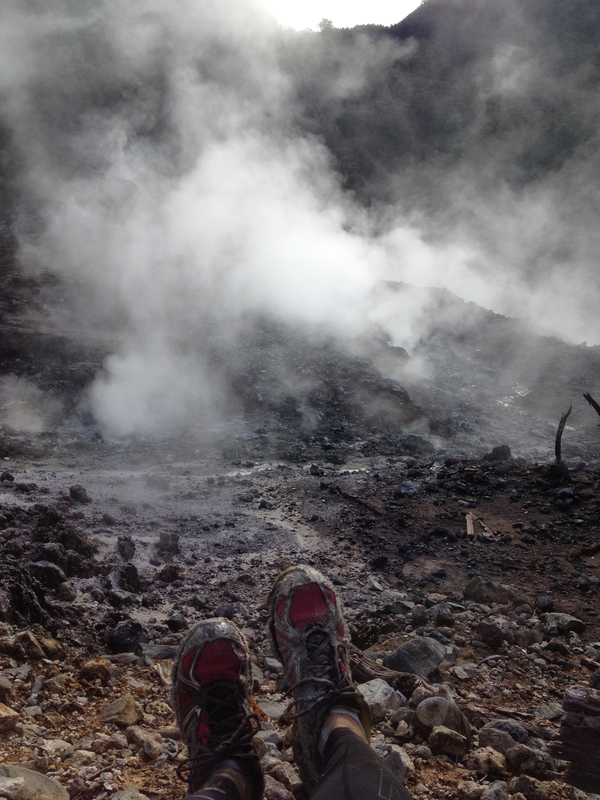 I hate stepping-stone track, my feet were hurt. Many FM, 65K and 100K runners passed me. Oh em geeeee! I wonder how they practice. In Km 15, was another water station. I ate banana and drink isotonic. It was almost 12 pm which is the COT time. I want to give up, but it was still in the forest. no use! The marshal said the COT was 7 hours (1 pm). 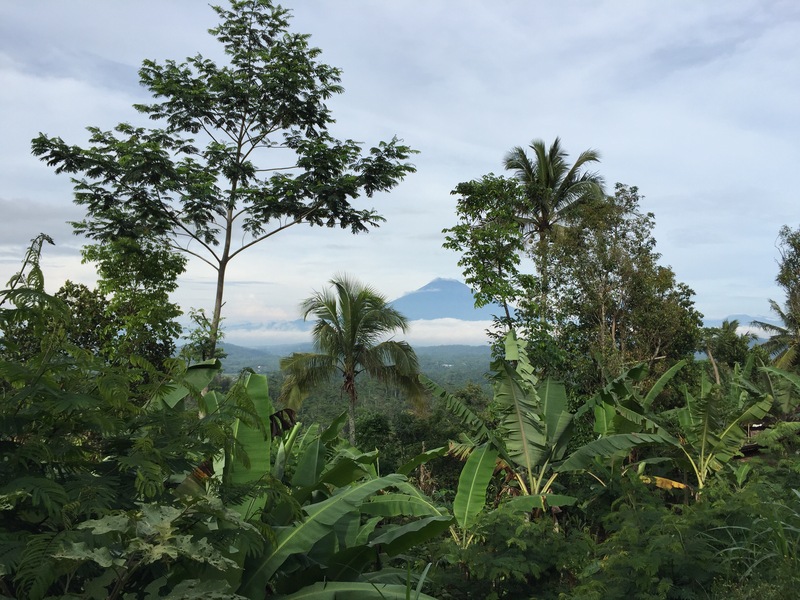 It was still raining, the track now around another coffee plantation area. I don’t know where to stop, not to get wet, bingung juga mau berteduh dimana, so I just walk downhill. One farmer drove his motorcycle and fell right in front of my eyes. Oh em geee. Me, myself had fall many many times. Many times I had to slide down because I was tired and lost my body balance. 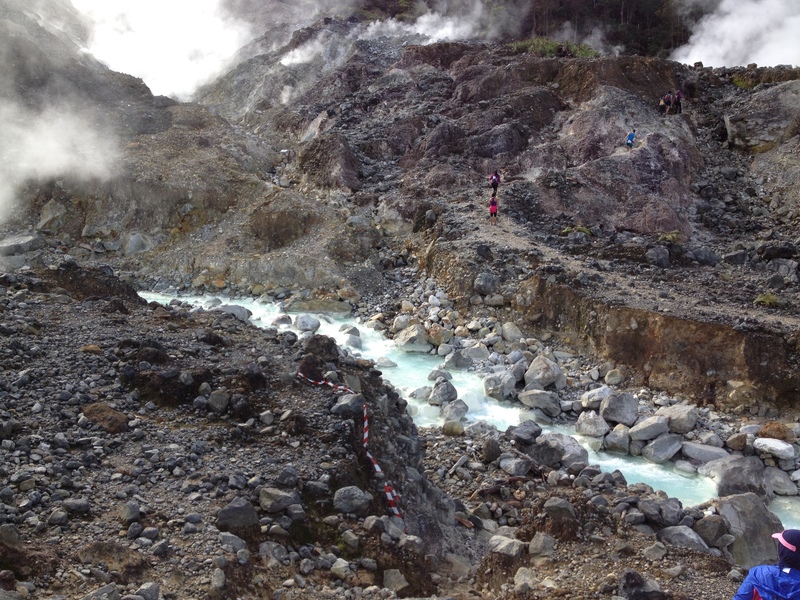 In Km 15 I think, I saw one participant with a broken leg and arm. He was a Japanese. It took him 2 hours to get help. There was this guy, an Indonesian who looked after him. Ich finde ihn nett! That was so sweet. When I was there, the evacuate team already in the area. So the Indonesia man could continue his race. So, I guess the marshal was right. COT was 7 hours after flag off. We were back to village area again when finally I saw a civilization. I wanted to give up and took the ambulance who would took that Japanese with broken bone but that Indonesian man had motivated me. So, I did what he say. Continue my race. After village area, there came forest area again which is very very very slippery. I fell hundreds time, twice as many as I did when I was in coffee plantation area. I realized I lost my glasses. I met two marshals, they held my feet, so I can get up. I couldn’t move my body. I had lost my motivation. I had lost my body balance. For safety reason, I decided to quit. On the way to Km 18. They evacuated me by motor bike to hotel. It was 2 pm already. my shoes looked horrible, sol sepatu gw lepas! Too dirty and it’s broken anyway. Oh well, I obtained another DID NOT FINISH status in my trail race again. In fact, not a single trail race that I finished under Cut Off Time. Honestly speaking, the track is doable. 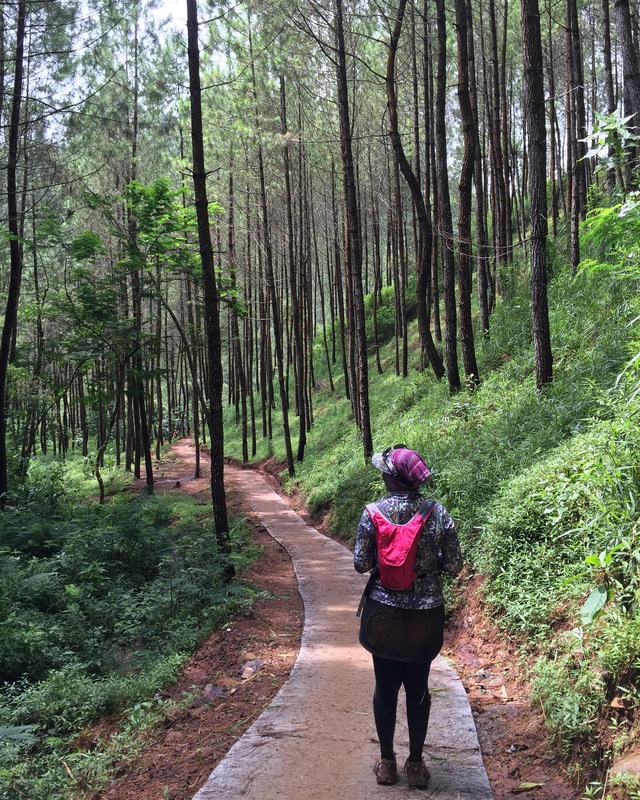 I met the similar track in Sentul, Pancawati (for the forest and plantation), Halimun (for the stepping stone track). 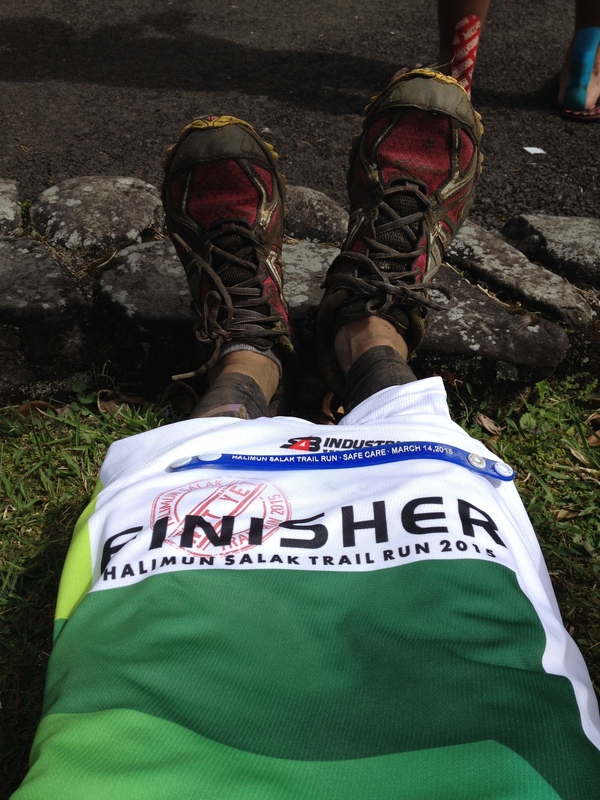 Bromo 30K is stillll the hardest one, yet, due to weather condition, it got verrrry hard. well, not to mention I was lack of practice too. I was not fully recovered from my illness. Still, it is a recommended race for you! Owh, btw. Netty finished in in 4 hours something and Vitri in 6 hours. Until my next trail race! In which of Lord’s favor would you deny? Endlich! Die erste race des Jahre! After 120 days, Ich bin zurück! I signed up for shorter distance tho and Thanks God I did! Tell you why! A continue of midlife crisis #teeeheeee really made all hell broke loose! Lack of practice, mood drop, bad food intake, didn’t do good on something I’ve prepared for month. meh! And honestly speaking, I didn’t prepare anything for this race. Just miss having pic of me with finisher medal posted in Every soc-med I have! hahahah! bear with me! Fortunately, she was with Lora so she allowed me to have extra hour of sleep. Another hour, we arrived at Sentul Convention Centre (SCC) where the race took place and had sholat shubuh there. After checking other Bintaro Trojan Runners where about, warming up, group photos (of course!) we went to starting pen. The Half Marathon distance started at 6.00 am! SHARP! Another 15 mins, for us, the 10K runners! yeah! I made a pledge with Maktin and Acha we would stick together until finish line do us part! Anyway, told ja! The starting pen start at SCC complex, I learn the route days before to expect the killer hill and wonder how the race organizer would work with the traffic as it would be some intersections! For 10 K route, 500 meter from Hotel Haris all the way to the round about and turn left, passing Giant Hypermarket straight ahead to sentul city/taman budaya. Next intersection was just near the gate. The organizer closed the road for quite some time and I hate the sounds of blowing horn. I heard one of the marshals speak over the TOA even said “Pak, malu sama pakaian ngancungin saya jari tengah!” bahahahhaha. So there is a mosque near the gate, seems one of the jamaah still wearing peci ,sarong and baju koko, felt annoyed by the traffic! Not sure why, don’t care either. In my surprise, we make a left turn a little after that! Aha! this is new route for me!!! Never ran in this area before, here’s a another hill! I think it was in Km 3-4! ah, beautiful! MakTin on the (hilly) Move! Setelah ada tanjakan, pasti ada turunan! And yeah…yay! Downhill!!!!! It is in Km 5 probably, we are out of this housing complex went to main road again. Another intersection, but there were less cars this time. Probably they already learn the situation. yep, down and up and up and up again turn left before ruko-ruko !Maktin and Acha had left me when I took picture down hill. I caught with them again in third water station, and finally! they offered isotonic drink! Seeeeee! There were no isotonic drink in previous WS. I was tired then fortunately someone offered me date! I took one. Meine Gott! Ich hatte Glück. Even Maktin forget to bring ones. She’s the one who always prepared extra food for us! I feel like I had extra energy! Let alone the salt stick! Owh, the elevation gain for 10K was 100 m something while it was 300m for HM. And…while I was waiting for Valas to cross the finish line, it was like 8 am already. I saw many speechless or may be palm faces =)) for HM runners . Heat was unbearable! for hundreds of time I was thankful that I signed up for 10K! It took 3 hours for Valas to cross the finish line! OOT : sorry for the protected post on my previous post. you know where to reach me to get the password if you want to read it. (in my opinion) this was the most long awaited race! The famous 2XU compression Run finally in Jakarta! Years ago, the 2XU race in Singapore were (and I think still ) very famous for Indonesia runners, as we barely had running races! Let alone the Half Marathon distance. IN 2014 (or was it in 2013) they even have the Full Marathon distance. I think one of most favorite ones besides Sun Down Marathon and the famous Singapore Standard Chattered Marathon that will be held next two weeks. back to tanah air, while the famous Adidas King Of The Road has been absent for two years (including in all neighbouring countries where they usually held the race such in singapore, KL, Manila and Bangkok) and seems that, after the accident to one of the runners last year, no more Standart Chattered Half Marathon which already held since 2011! that explains why this race would be “sangat ditunggu tunggu” beides Nike Bajak Jakarta, perhaps. Thus, when The famous koko Willy Sanjaya sent the teaser, guess we (runners) went nut! the well known brand finally has its races in Jakarta. It was sold out in few hours and koh Willy gave another slots…and another and another. to make it short, I signed up for HM distance that cost IDR 575K something, and would received socks from Newton, 2XU race tee and 2XU finisher tee for HM distance only. hence, that’s explain why this race is famous! ngarepin kaos 2XU brayyyyy! Fast forward, Unfortunately, I didn’t get a change to have a long run after my Full Marathon. 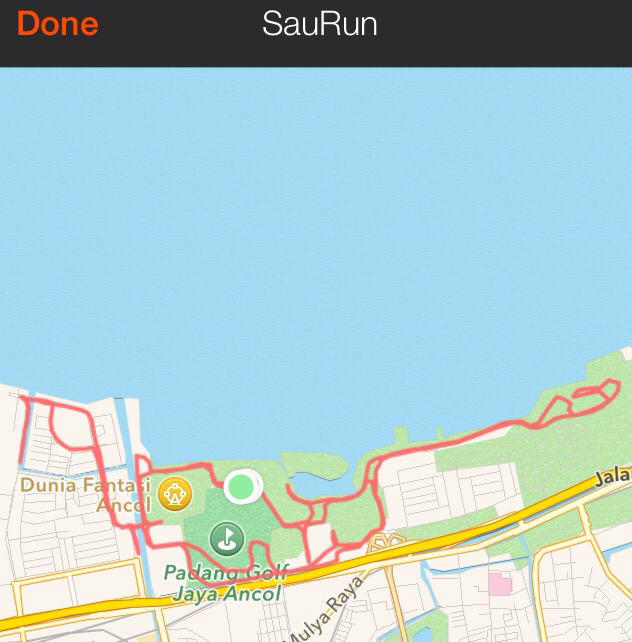 longest distance was only 7Km when I had my morning run with Ejah at CFD. When I was a volunteer for The Jakarta Marathon, oct 26th 2015, I felt Jakarta’s temperature was at its worst. 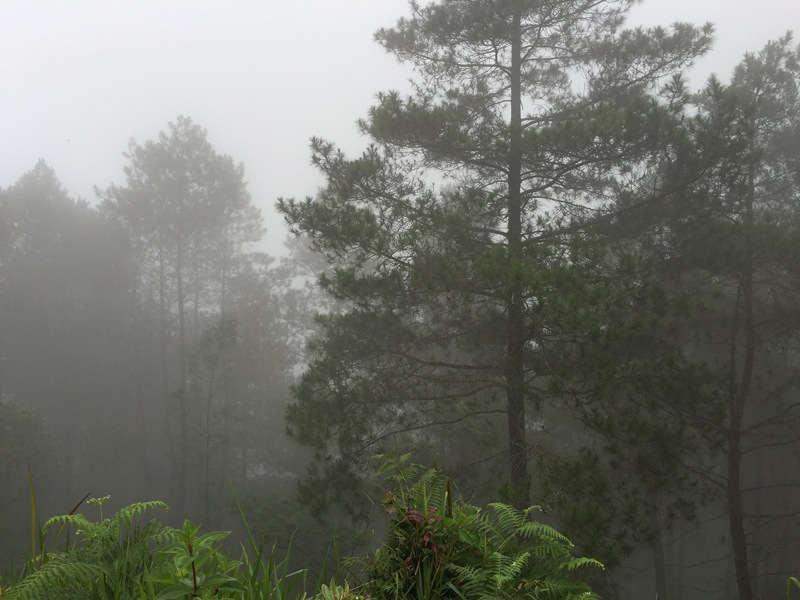 No raining for weeks and it was — even though not as thick as in Sumatra islannd — actually sky was covered by haze! I barely saw sky crappers from distance. Trust me, as non private cars users in Jakarta on weekdays, I do look up the sky from pedestrian bridge, etc. At this point i was thinking of giving my BIB. Yet, couple of days before D days, rainy days had come. I could see a blue sky again from my front porch. Thus, I decided to go. Taking taxi to cut the hustle, I picked Mas Eri and Pak Donny after shubuh pray, and as expected traffic to AEON Mall was heavy! It was 5.15 am were still in the cab, while race would start at 5.30am. I left my sunglasses this time! meh! running in BSD and forget sunnies. BIG MISTAKE! 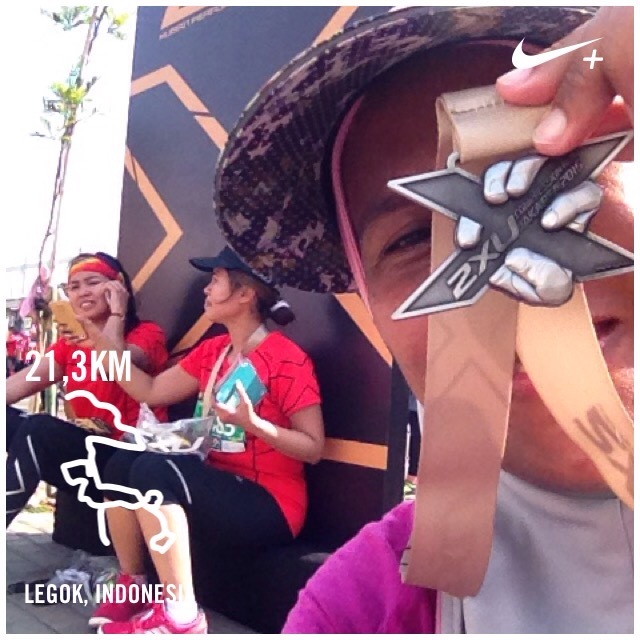 – i ran with Evi and Rika, also from Bintaro Trojan Runners. Evi just had her virgin FM I Jakarta with a respective time for me :)) It was her first FM and di jakarta boooo matahari ada 17 langit coklat ketutup debu! – Anyway it’s BSD, yet, good job grom RunID, the most professional race organizer for me, they creates new loop, new route. walaupun view nya itu itu aja sik. tapi rutenya baru, they always come up with new route! good job! – at Km 15, I really lost mood for running. my sister passed me, she had toilet break previously. at this point, I walked. anyway sponge were available and it was heaven! – water station were nice! every 2Km i think! thanks God! there were like 17 suns above BSD! Panasssssss! I took an ice block and put in my jersey!!! it melted right away! – at Km 17, I saw the opposite way, my fast runners friend like bu thya, Pak Giri, Valast, Diana, Deio were…walking! they were at km 20’s! “panas! malas lari” mostly said so. – There was a U turn at Km 19, I saw Namira from the other side, I waited for her. so i wont get boring walking alone. – we managed to take pic with this sign. bahahahahahhahaha. there it is! Alhamdulillah ngga pakai kram aja sih! 3 hours 15 mins!!! Bahahahhahah! sure it wasn’t my PB! anyway, gw ngga mau bela diri of my ugly performance. never do strength training and my bike has been too long in the garage. skip swimming class soooo many times. I was lack of practice, I didn’t pay attention to my intake! It was also a slap on the face that I must watch my intake again as I’m not getting any younger. I didn’t drink electrolyte D-3 like I used to before long distance run, i (again) consume trash like candies and flavored-bottled-water, oily and processed food, dan lain sebagainya. I think I am only good running in four seasons countries, however my Bank account doesn’t say so. TEEEE HEEEEE! until my next race ! 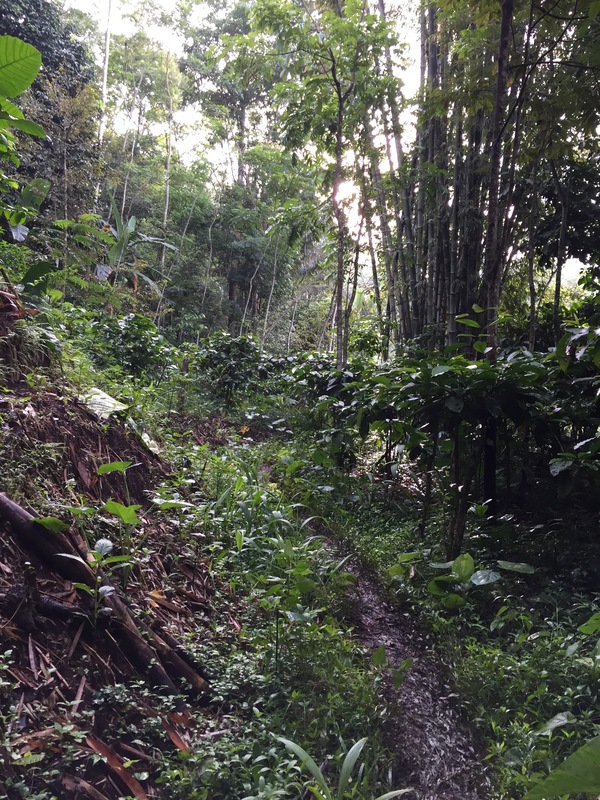 I signed up for Tahura Trail 21km next January. Wish me luck! PS : klik here for 2016 Compression Run in Singapore. IN case you’re interested! No lebaran-related post here, too lazy! In the following year, I signed up for HM distance, sekalian gw latihan buat virgin Full Marathon di Bali 2 bulan setelahnya. Mom was sick, I didn’t go for sure. So when its FB group said, they opened for registration, I signed up. This is my first long distance road race in 2015! Road race terakhir gw di BIS 5K bulan February lalu! hahahahah –> anaknya trail banged! Anyway, fast forward, there were 15 of us from Bintaro Trojan Runners. 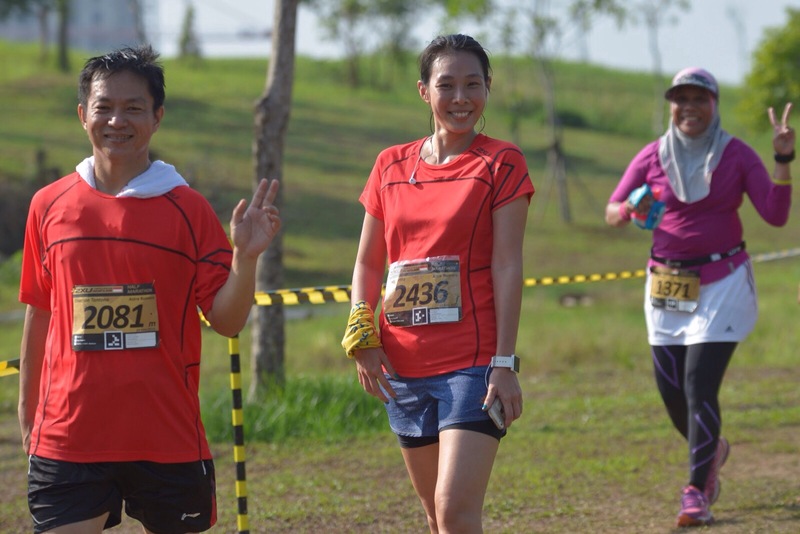 eh,sebelum itu…mulai lah gw pick up running as my frequent exercise. Pas bulan puasa setelah Triathlon May lalu, rasanya bokong berat bangeeeddddd diajak lari lagi =)). Latihan Triathlon ngga pernah lebih dari 10K kalau lari. Mostly 1 hour run dijaga Heart Zone-nya di Zone 3 atau 4.
well, for training, I did it at night after taraweh, lelarian puter-puter kali Puri Bintaro, ramai-ramai tentunya sama rekan-rekan BTR. Some of them are preparing Bali Marathon Agustus nanti, some IronMan Cebu. Kita kumpul di rumah Maya, kita patungan sewa 2 supir, 1 car each! ya kaleeee ada yang kuat nyetir tengah malam.Sampe Ancol cepet banget! Jam 9 sudah sampe…padahal ternyata race-nya mulai ….11pm! Haisshhhh! Ada zumba dulu, gw pengen eksis ikutan donk paling depan! Biar banyak difoto maksudnya -__- Ngga lama bosen :D, lalu melakukan pemanasan sama anak-anak BTR. Menyadari pace gw yang slowwwww ini, gw start belakangan deh! Janjian sama V3 aja se-iya, se-kata, se-pace sampe garis finish memisahkan. Turn out, atas asuhan coach Maya Djatirman, kami berenam start dengan pace 9 aja! Gw, V3, Maya, Bu Dok, Adit dan Pa Dok. Rutenya? ntah lah, liat peta aja! hahahah. Lari beramai-ramai satu pace ini menyenangkan! ngga ketakutan, to note, I think we were the last participants! well, at least for first 5KM. 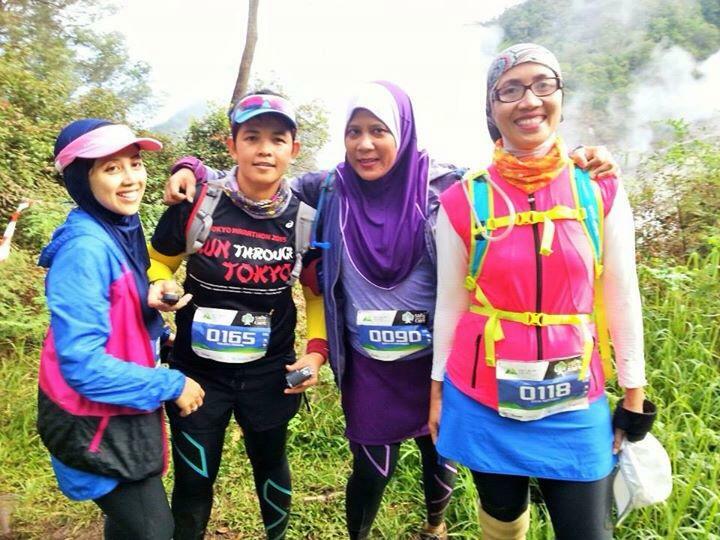 Di Km 2-3 kalo ngga salah, sudah ada elite runners yang balik arah, suppose mereka di KM 6-an gitu deh. Water station pertama di Km 3. Rutenya daerah sini lewatin perumahan elite juga. marshal-nya keren! setiap ada lubang di jalan, di sorot pake senter. Biar hati-hati. Oh, di race pack juga disiapin head lamp yang disetting di warna merah pas start, dan neon pas gelap banget tak ada lampu. Pas puter balik menuju KM 5 di kasih karet rambut sebagai check point. On the way Km 10, lewatin gong besar itu menuju MEIS. Man…udah lelah gw!!! Di sini Maya, Riyana sama Pak Dok udah naikin pace-nya. They were doing “negative split”. Macam yang gw ceritain kemaren! But anyway, we passed many-many runners. ada yang sudah kram, ada yang males aja kalik. Pas gw jalan di MEIS, Adit teriak “ngga ada jalan…Lari” ish! KZL! I think it was in Km 12 or sum thing, when I literally ran alone. Maya cs udah di depan, Adit dan V3 di belakang. I did it at about another 3km kali. ASLIIIII GW NGANTUKKKKK!!!!! Paginya gw anterian anak-anak ikutan Mabid di mesjid Raya Bintaro trus visit Mak Dang gw yang di rawat di RS. Hence, I didn’t have proper rest. Ngga lagi-lagi deh night race -____-. Oh ya, water station-nya oke banget! Dapat pisang juga di beberapa WS bahkan sponge. Padahal ngga butuh-butuh banged menurut gw. I took 1 salt stick before the race, and second on km 11. I also eat 1 date as my intake during the race! This is important! 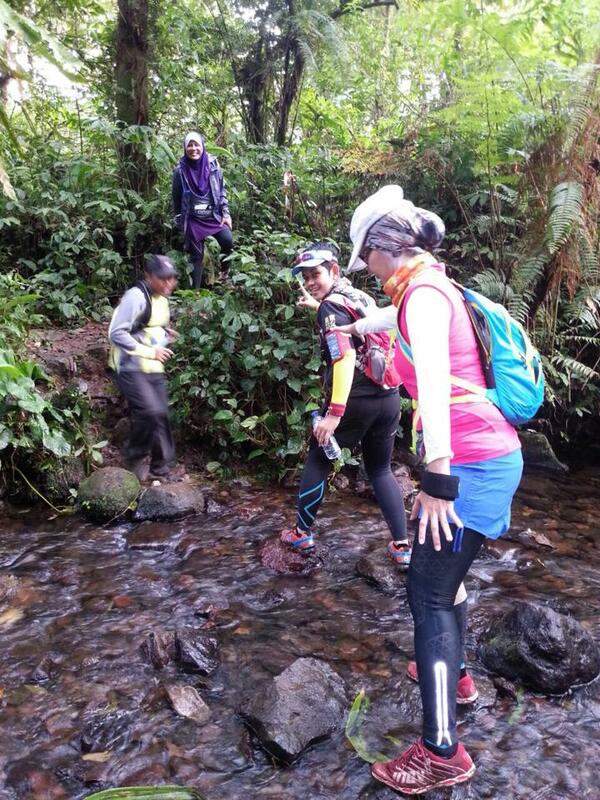 In KM 15 kesusul V3, she left Adit behind. Kena kram ceunah. ah…poor boy. So V3 and I ran together to complete this race. Melewati sisian Kali Sunter lagi yang… GELAP! Lucky for us, ada marshal bersepeda. Minta ditemenin donk! hahahahhaha But anyway, they had sufficient marshal! GOOD! 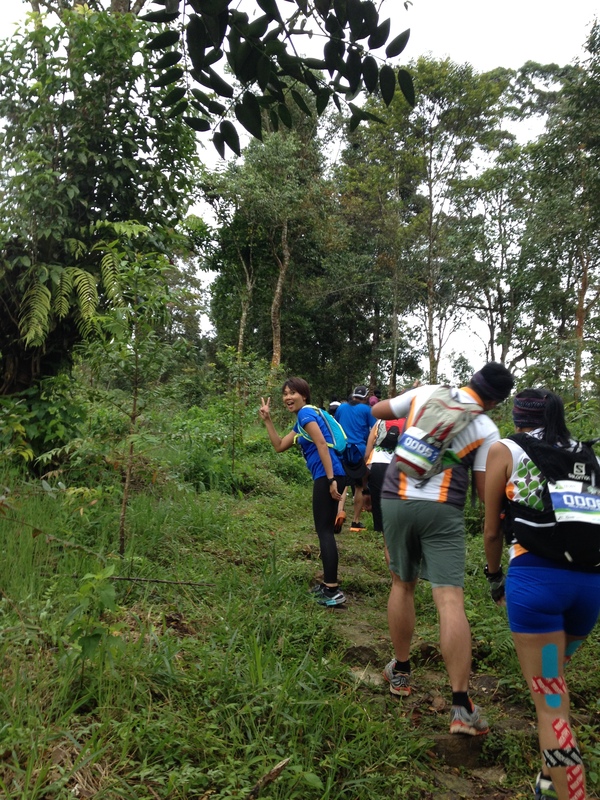 At km 20 that was also a water station, yang gw skip juga. I skipped 2 water stations, but I brought my own tumbler. So based on result after we crossed the start line, next 2 hours:57 mins V3 and I crossed that finishing mat. Means….hanjrittttt jam 2 pagi donk itu!!!!!!!!!!!! As I told on previous post, not my PB, but this is the most enjoyable race! 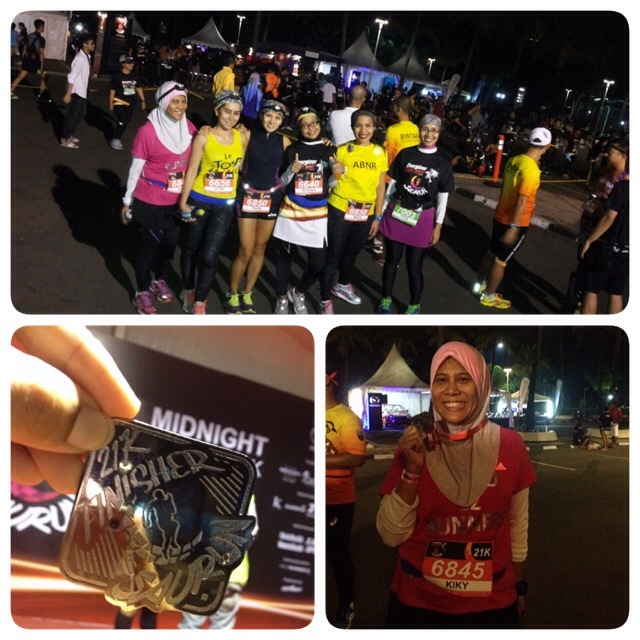 Compare to SCHM 2014, my last HM race yang menuai banyak complain dan controversy! seru banged long run kalau ramai-ramai gini. And to make it even better…they put us, a pic of us in KM 6-7 as Cover Picture!!!! Yihaaaaa! Gw yang sok tau pangkal kecapekan ini biasanya kalau sudah race pake biaya akomodasi dan transportasi will go for longest distance available yang gw pikir “kayaknya gw bisa deh nih” (except kemaren Tahura yaaa karena emang niat sama kiddos). This race offered 11 and 18 km tho, and ofkors I took 11K. Later I know, arranged by Depok Running Buddies divisi Trail. Jam 5 teng sampe hotel, check in, potok-potok lagi, silaturahmi (berasa seleb), jalan-jalan liat tenda (disediain tenda buat yang kehabisan kamar), bla bla bla…. ada jasa free taping gue padang ogah rugi juga mau gratisan buat lutut. kali ini lupa bawa visor dan heart rate monitor *hadezig*, gw sekamar lagi sama Valas, temannya Maktin yang datang udah tengah malam bagai hantu. Jam 5.30 gw dah nongol rapih jali di lobby nyari KetKet, princes warrior yang ambil 18Km seorang diri dari rekan kantor (ada Kunti dan Amel beserta spouse) ngasih salt stick. Silaturahmi sana sini lagi, kata sambutan (tetep ya…Indonesia), National Anthem *selalu bikin merinding*, teng jam 6 18km start. Gw balik ke kamar lagi, lupa ambil kabel charger Ipon *penting*. 500 meter pertama turun dulu…nanjak edan…masih aspal nih, barulah mulai jalan setapak dimana sangat sempit sekali…..
nanjak…dan nanjak terus…dan nanjak lagi. belum tracknya batu-batuan nan licin. sekitar km 2.5, ada water station and medic setelah harus melompat kali kecil dan sedikit merangkak naik. Gw dan maktin dan Valas sok iye foto-foto disitu disertai tatapan bingung peserta lain. Lanjut lari tetap dengan jalan setapak yang berbatu tajam. ketemu Idir yang potensial podium (11km). sampe Km 4-an ketemu lapangan, Hamdalah!!!! setelah ini rutenya turun, ngga setapak juga ya tapi terjal dan licin cynnnnnn…Ketemu Jurian sudah balik arah menuju finish. Ngga lama ketemu Peni si Polwan. Gw suruh ngebut *sok yeee…* soalnya dia nomor 4 perempuan. Disini sepertinya semua peserta sudah mutar balik. Kita sik tetep foto foto…. Nah, wassalam di daerah ini. Brosurnya yang bilang tingkat kesulitan mudah dan otak gw mensimulasi dimana sisi mudahnya…. 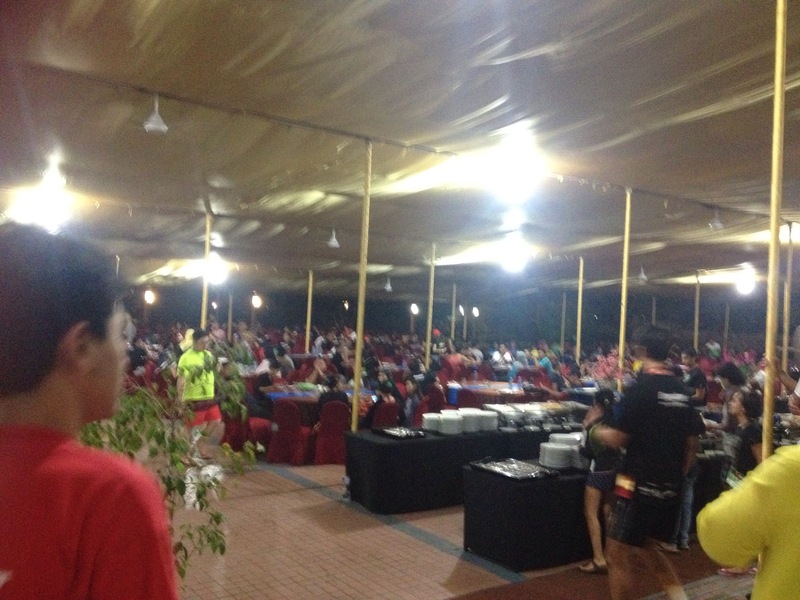 Di area ini, I gave thumbs up for all the marshals and the volunteers!!! mereka benar-benar ngawasin peserta, nyuruh gw ambil route yang ini instead of yang itu karena (sedikit) lebih mudah.Diteriakin dari atas. Daerah kawah ratu yang bagus banged ini ya konon kabar (Indonesia banget) mistis …. paling susah tracknya. nanjak dan nanjak lagi plus batu-batu yang ngga sante banget ukurannya seakan ngga ada hari esok plus…bau sulfur. Mistis dan cantik at the same time! Macam wajah gw jam 00.30 maskeran bengkoang lah… #bihiks. Disini buat yang 11km dapat gelang biru a.k.a check point. Di water station juga dapat power bar, dari Boom pisang, isotonic, dan aqua plus medic! TJIAMIKKKK!!!!! okeh, mari kita menurunin batuan licin dan slippery ini, lewatin kali bersulfur plusss…nanjak terjal lagi pegangan sama akar pohon. salah satu peserta warga asing 17km bantuin merangkak gw lalu berlari macam kijang! -____- kampret! While i catch up my breath doi macam terbang gitu. Berlalu lah gw menyusuri setapak terjal ini ih….sempat kenalan sampa marco anak BSD, yang bokapnya 60++ udah jauh di depan, keren ya staminanya. some girls from Bandung. Turunan dengan bebatuan yang lebih parah dari rute pondok pemburu plus licin emang butuh konsentrasi tinggi dan sering sekali peserta 18km menyusul dan berlalu…cepat! wooozzzz….ngga santai banget. Ini trail man!!! lalu gw ngobrol sama salah satu peserta yang deket-deket gw. gw : COT berapa jam ya? 3,5 jam kan ya? pantes pas gw berhenti foto-foto dikasih tatapan heran peserta plusssss panitia yang nyuruh gw cepetan di kawah ratu. Ya sudahlah. lewat COT udah biasa dalam sejarah pe-trail-an gw. Disitu kadang saya merasa SEDIH! #selfpukpuk. Mau gave up juga ngga ada GoJek / Ubertaxi / Grabtaxy. 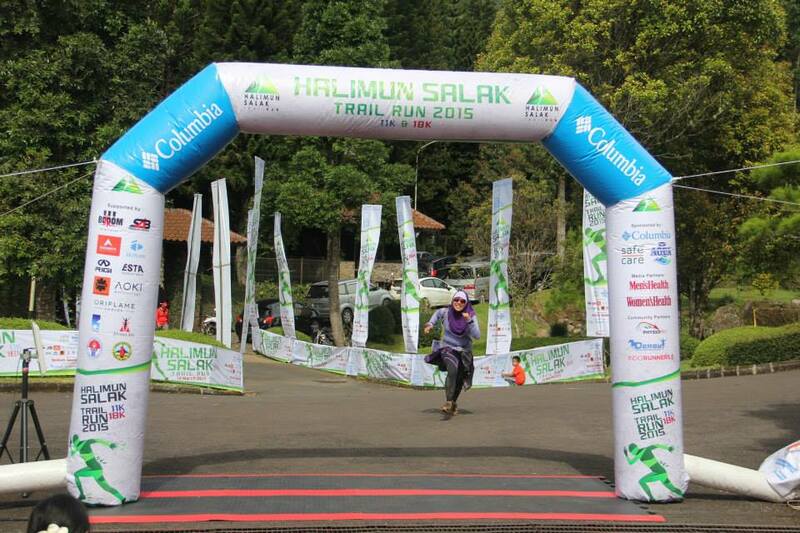 will do trail race again ngga kapok lewat COT kok 😉 Demi ngumpulin poin ikut Chamonix Courmayeur Champex in 2016!